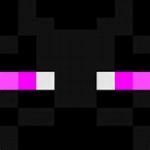 This topic contains 2 replies, has 2 voices, and was last updated by enderxmc 2 years, 6 months ago. Who are the staff on the server, I was just wondering. Don’t know yet. We have a lot more volunteers than we need. But, we should be selecting people in the next day or two. Ok cool love that little face thing.